Tesla missed its production goals for the Model 3 in 2017's final quarter and was punished by Wall Street investors. In the first week of the new year, shares for California-based electric carmaker Tesla fell almost 4% after Wall Street caught whiff of the company’s off-pace car deliveries in the final months of 2017. While Tesla Model 3 sales are climbing, the predetermined production goals have not been met. When the Model 3 initially launched in July 2017, the carmaker’s officials promised to build 20,000 by December 2017. The car is viewed as high-end Tesla’s entry into the mass market, with a price tag of $35,000. So far, the auto manufacturer has delivered fewer than 2,000 of the economically priced vehicles. Tesla sent out 220 Model 3 cars in the third quarter, and 1,550 in the fourth. 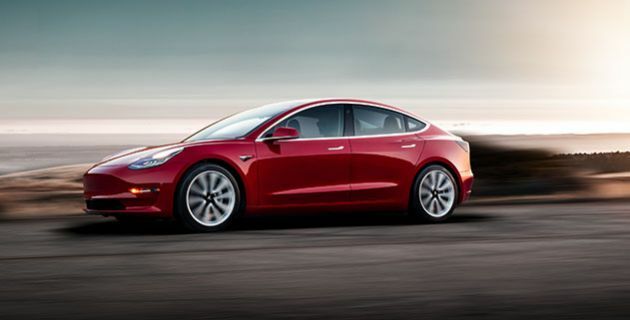 Additionally, 860 Model 3 cars were still in transit as the year ended; these cars that did not make the deadline will be counted toward the first quarter of 2018, officials said. Tesla seemed to have no other choice but to extend its production timeline. However, the company did have a record-setting year after delivering more than 100,000 cars across all of the manufacturer's electric vehicle models. Furthermore, Tesla officials reported production highs in the final three months of 2017, delivering 29,870 vehicles. This year-end production rate “extrapolates to over 1,000 Model 3s per week,” CEO Elon Musk said. Moving forward, Tesla engineers will allocate more resources for Model 3 construction. As a result, future numbers will reveal reduced Model S and X production, while Model 3 deliveries should increase. The Model S sports car and Model X SUV were Tesla’s flagship vehicles before the Model 3’s launch. Tesla officials recently announced another expansion to the automaker’s electric fleet. The Tesla semi-truck is coming in 2019, and engineers will have to once again decide how to reallocate resources when production begins for the big rig.